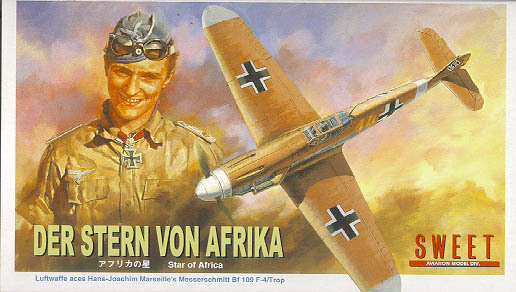 SWEET 1/144 Messeschmitt Bf 109F-4/Trop. 2 kits in a box ! !, 2 Optional Clear Canopy Parts. 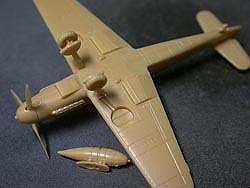 Finely molded parts; 2 types of clear canopy parts,(with and without Armor) detailed landing gear structures and wheels, drop tank and the optional Tropical Sand Filter part. Saparate underwing air intakes. 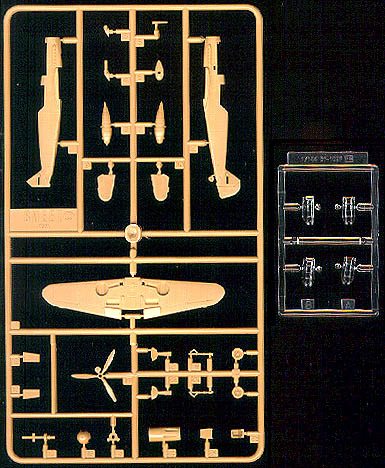 Recessed panel lines and rivets. High Quality decal, printed by CARTOGRAF in Italy, provides the choices of 6 different markings for MARSEILLE's The Yellow 14 JG27. 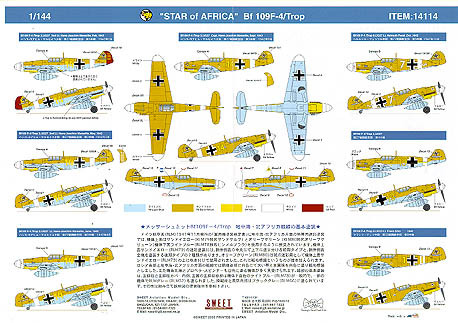 Plus 3 aircraft markings from JG3 and JG53 in North Africa.Bonus decal included; Decals for his personal Kubelwagen "OTTO" in 1/144, 1/72 and 1/48. Click photos above for larger images. 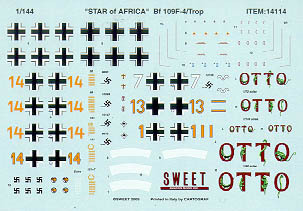 Bonus decal included; Decals for his personal Kubelwagen "OTTO" in 1/144, 1/72 and 1/48. 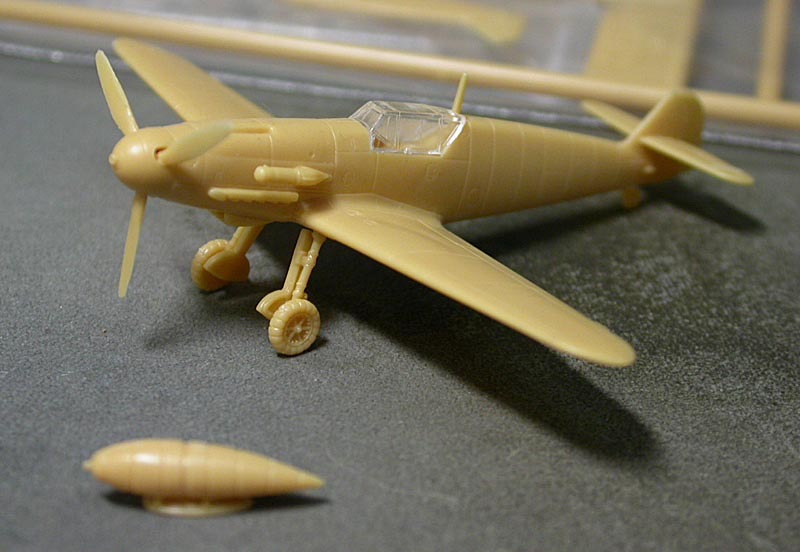 Don made SWEET 1/144 Bf 109F-4/Trop into this nice diorama using Takara's Storch and Kubawagan in 1:144 scale. Note the "Otto" decal on the side of the wagan.